What's New in this Lightroom Release > Lightroom Classic Updates > What’s New in Lightroom 6.14? Lightroom 6.14 has been released today. This is the final Lightroom 6 perpetual (standalone) license release. Future updates will be either Lightroom Classic (desktop-focused) or Lightroom CC (cloud ecosystem). If you missed all of the recent changes, you can read about them here. If you buy a brand new camera in future, but don’t wish to upgrade to a subscription version of Lightroom, you can use the latest version of the free DNG converter to convert the raw files to DNG format, which Lightroom 6.14 will be able to read and edit. To avoid accidentally installing Lightroom Classic, which requires a subscription, it’s recommended that you download and install the 6.14 patches from this page. Here are the direct links to the patches: Windows – Mac To install using the patch, download the linked file to your computer, double-click on it to look inside, then double-click on the patch installer app and follow the instructions. As always, thanks for the direct links. The new auto is pretty good. Thanks for recommending it. Thanks for the direct link to download LR 6.14. Hi Victoria, I’m still working with LR 6.0. Would you recommend to update? Definitely Michael. There have been SO many bug fixes in the last 2 1/2 years! First of all thank you for your work. I have installed version 6.14 from lightroom 6. If I am going to check the update data it gives me the result “2015.14 CC”. It is right? CC 2015.14 means you’re a subscriber, rather than a perpetual license owner. You pay monthly, right? Okay, it seems to think you’re subscribed at the moment. If you run into problems, let me know. The download page shows two different downloads. For MAC, I can download a unspecified 727 MB version and a 6.14 (482 MB) version of Lightroom. What is in the different downloads? The 727MB is 6.0, and 6.14 is all of the later updates rolled up into one. So if you already have LR6 installed, it’s 6.14 you want. Many thanks for your work in making it easy for LR6 users to upgrade to 6.14. Hope there will still be upgrades to come in2018. No more updates for Lightroom 6 after this Allan. Only subscribers will get future updates to Lightroom Classic (aka Lightroom 7). You note we should download v6.14. Am I missing something with the version numbers? 6.14’s the latest Jim – 6.5.1 was released April 2016. Strange – a higher version was released First? But latest is a lower version? No, 6.5.1 is what’s called a double dot release. It was a very fast patch for 6.5. Running 6.12 Mac I’m getting the message “Update Failed, this patch is not applicable for you”. I cannot find any way to access help for the perpetual licence version on Adobe’s webpage. Am I right to think I can upgrade from 6.12 to 6.14? Uninstall, reinstall 6.0 (the main Lightroom 6 download link on that page) and then install 6.14. It sometimes happens if the installation files get messed up. How do I update to 6.14 now? If you’re back at 6.0, just go ahead and install 6.14. Thanks, Victoria, for your reply. Er, I may be misunderstanding your difficulty. Have you been able to download the 6.14 patch file from the link? And then double clicked to open it? And then run the installer file inside? My mistake was clicking the Download of Lr 6 [727MB] instead of scrolling down to Updates and click the 6.14 [482 MB] instead. With all best wishes for the New Year 2018. Hi Victoria, Is it OK to go from 6.11 – 6.14 direct, or do I have to go through each one in turn until I get to 6.14? Think you have answered this but just want to be sure. Many thanks in advance and have a great Xmas. Yeah, you can jump straight to 6.14 from any 6.x. Yesterday, I updated my resident copy of Lightroom 6 by downloading and installing 6.14. I then worked in the program for several hours; it crashed once, but that was all. Today, the program refuses to load on my Mac (OS 10.9.5). All previous upgrades had no problems. Is there a fix? If not, is there a way to get back to the previous Lightroom version, because it worked fine and I don’t need the upgrades. Just downloaded LR 6.14, but don’t see the full list of camera and lenses that should be supported. Particularly I need Fuji X-T20 and Lumix FZ300 . What gives? Hi, Victoria! I currently use LR5.7(perpetual) which I purchased on a DVD. I have a new laptop (Win10) and want to transfer the program to it. I am also interested in upgrading to the LR6 (perpetual). What do you recommend I do first? I am nervous about mistakenly getting the subscription or cloud version by mistake. Help! I’d probably do the LR6 upgrade, then the move, but it won’t make much difference. Thanks so much…off to get this accomplished! That means some of the installation files are messed up. Solution is to uninstall Lightroom, reinstall 6.0 from http://trials3.adobe.com/AdobeProducts/LTRM/6/osx10/Lightroom_6_LS11.dmg?PID=2159997 and then 6.14 again. A great thanks from à French reader of your blog- I have tried from the LR update menu to switch from 6.0 to 6.14 and each time it force me to identify to adobe what I have done and result is a second installation of LR Cc and à free trial but no update of my LR 6.10 perpetual licence. Does I miss soothing or is it intentionally uneasy and userfriendly update from inside LR is by purpose impossible now? Hi Victoria, Thankfully, I’ve just come across your website! I am currently running Mavericks 10.9.5 on my MacBook Pro and would like to update to High Sierra. I own a perpetual license of Lightroom 6 on disk and am currently running 6.0. Despite my best efforts and a great deal of time in trying to upgrade to 6.14 using the link you kindly provided, I keep getting the error message “Lightroom 6.14 Update is not applicable. Error Code: U44M2P28”. When I try to update from within Lightroom itself, it tells me that my application is up to date running 6.0. Is this another example of installation files being messed up? Should I uninstall Lightroom and then re-install it in order to update to 6.14 before I try to upgrade to High Sierra? Thanks for the help! Yep, uninstall/reinstall should sort out that error. It may not install correctly on Mavericks as it’s an unsupported OS, so I’d upgrade to High Sierra and then do the LR uninstall/reinstall before opening LR. That should do the trick. Thanks for your speedy reply Victoria! You’re terrific! I was concerned that I had to do the Lightroom update before I upgraded to High Sierra. But, your explanation assures me of how to do this in the right order. Many thanks! If I have LR 6 I don’t use this, and LR CC on m Mac can I update both the 6 and the CC. Just Incase I don’t want to pay for cc in the future? Lightroom CC 2015.14 is fully compatible with LR 6.14. If/when you upgrade to Lightroom Classic, then they’re no longer fully compatible. Thank you so much for the guidance, I’m a little confused, sorry. What do you mean LR CC 2015.14 is fully compatible with LR6.14? Since one is stand alone and one is subscription. Don’t I need to update the stand alone to keep it the latest version so if I need it in the future I’ll have it? I have read so many people disliking the new classic because of all the issues of running slow, loosing files… so I’m hesitant to upgrade or are these issues now fixed? The catalog format of 2015.14 (subscription) and 6.14 (perpetual) is fully compatible, because they’re exactly the same code licensed differently. Classic’s looking pretty good at this point – better than LR6. There were some initial issues, mainly around graphics card drivers in the first release, but that’s normal for x.0 releases of any version. I’m not quite clear on “Don’t I need to update the stand alone to keep it the latest version so if I need it in the future I’ll have it?” – tell me more? Hi Victoria,I am currently running LR 6.13 , following your link last year, on Mac high Sierra. If I do not intend to change my camera in the near future is there enough improvement in 6.14 to make it worth upgrading. I wouldn’t worry Dave, to be honest! I’m having trouble finding the Lens Profile Downloader. Others on the intertubes seem to not be able to find it anymore either. I don’t see a “Resources” section on the link you have posted here. 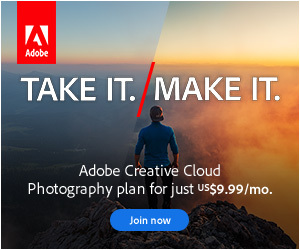 It looks like Adobe is hiding this utility(?) Any guidance? I just need the profile for one lens! Ah, I need to update this post now. The Profile Downloader went AWOL a couple of weeks ago, due to a bug in Adobe AIR. They’ve added so many profiles to Lightroom themselves now, I’m not sure they’re going to bring it back. Bummer! I suppose I could go through the Profile Creator route, but it seems to be challenging. You have mail… I think this is the right one. It was! Thanks so much. I downloaded the 6.14 from the direct link given above back in December — but never got around to installing until today. I got the dreaded error code. Rather than uninstall then install 6.0 and update to 6.14, I copied a 6.14 version that is working on another computer to this computer. That worked — but I wonder if there may be some instability or issues because of the way I did this. You’ll probably get away with it. If you run into trouble, then uninstall and reinstall. Try to install the 6.14 patch, but get an error message that my LR6 is not suitable for this update because of the conflicting 32-bit version. Can’t find any help how to convert the old version to 64-bit. Any advice? 6.14’s 64-bit too. I’d need to see the full error message and know which OS you’re using to help further. Thanks Victoria, I’ve settled the problem just a minute ago. Love your book! Not sure where to post this but here goes. 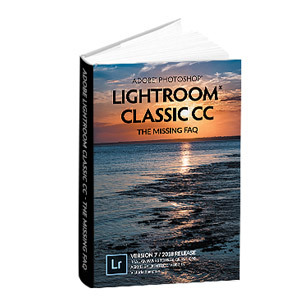 I’m currently happily running 6.14 but wondering about trying Lightroom Classic CC for 12 months. If I decide not to continue with Classic CC will I be able to reedit images in 6.14? Yes and no. The catalog format can’t be read by LR6, so you’d need to write all of the metadata out to the files and then import into a new catalog. That will be fine for your edits, but note that some things aren’t included in the xmp metadata in the files, including most notably flags, virtual copies and collection membership. Hi Victoria, I have LR 6.12 on my Mac and I am wondering if it is worth and necessary to update to 6.14. Assuming you’re planning to upgrade your operating system at some point, I would. Hi sorry i am late to the game,sorry for disturbing you. I used to have canon 700d and my current version is LR 6, 6.0. It works fine with my raw images. But I recently got the 5d mark iv. I want to use lightroom. But I searched and it says i have to have at least 6.7 for perpetual version. Yes, just update to the latest 6.14. Thank you SO much for this clear info on updating. I recently got a new Canon 77D, and discovered my LR 6.6.1 couldn’t read the RAW images. Following your instructions, I just upgraded to 6.14 and now it’s fine. However, I had a weird problem – and thought it might be helpful to mention here in case this happens to anyone else. I recently switched to Firefox as my default browser, and first tried to download the patch using it. It kept downloading a file called setup.dmg. When I tried to open it, nothing happened and I got an error message: “image not recognized”, possibly because the file was empty After a few tries, I tried using Safari instead and (even though it’s an outdated version of Safari), it downloaded the installer with no problem and after that everything went as you describe. Go figure. (I’m running OS 10.10.5 Yosemite). Thanks for continuing to support us perpetual users. Setup.dmg is the patch installer file. No idea why it didn’t download in Chrome though, I’m afraid! Possibly a conflict with a Chrome plug-in.